The natural beauty and tranquility of these lands and waters have long been appreciated. Early archaeological work uncovered evidence of an extensive Native American village site along both sides of Heins Creek dating back 1300 years, yet the creek and this isthmus weren’t always here. Thousands of years ago, Kangaroo Lake was an embayment, or bay, open to the waters of Lake Michigan. Over time, waves and shore currents moved sand deposits creating dunes that cut off the entrance to the bay, forming what we now call Kangaroo Lake. 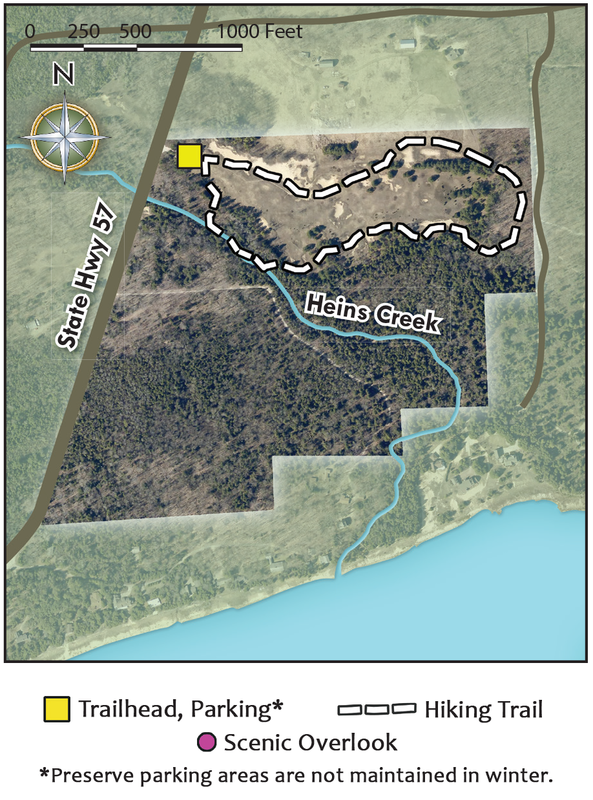 Heins Creek is a remnant of that former landscape, moving the waters of Kangaroo Lake through this isthmus of ancient dunes to connect with Lake Michigan once more. 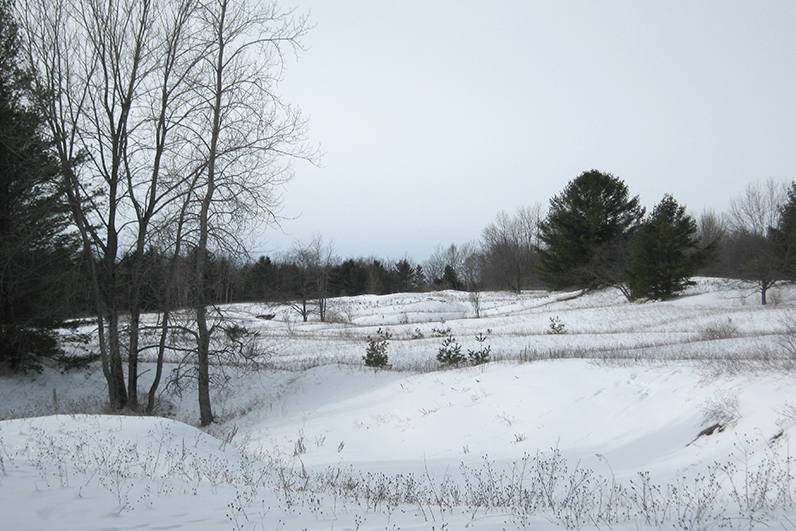 Forested and open dunes, hemlock and yellow birch, grasses, sedges and a rich understory of flowering plants are all key elements that make this area an essential wildlife corridor for migratory birds to rest and nest. 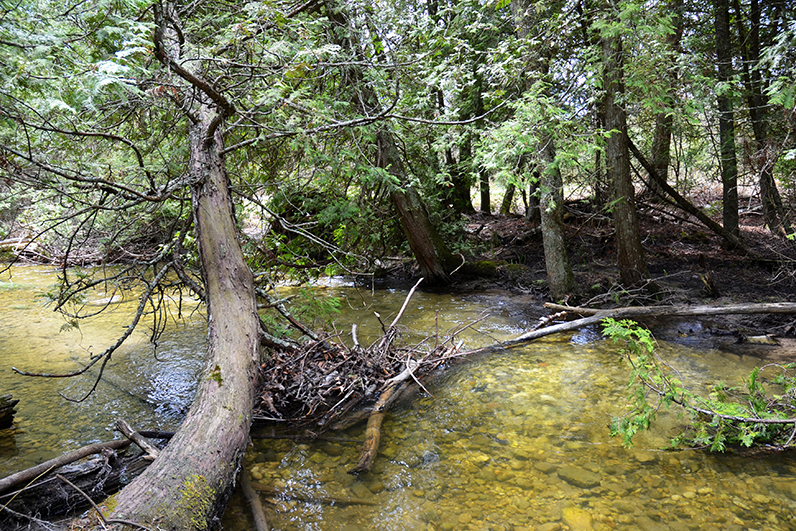 In spring and summer trout and salmon spawn in Heins Creek. 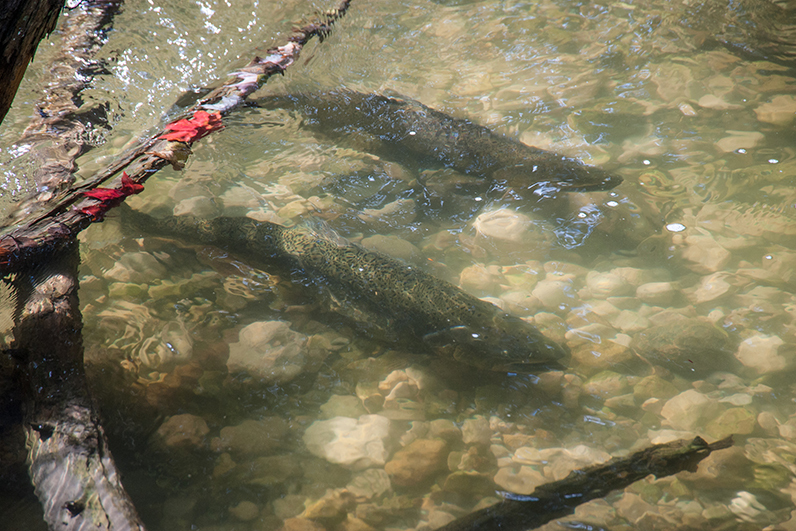 Look for the flash from their silver scales in the clear, shallow waters. 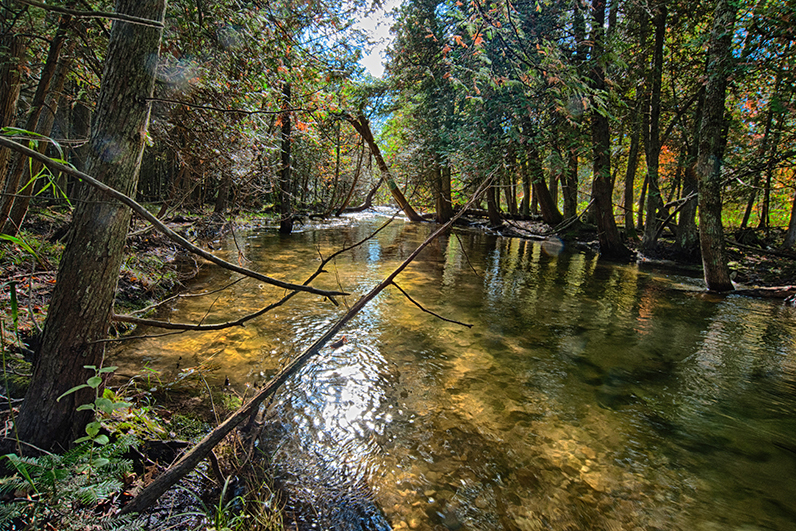 Trail parallels banks of the creek and traverses sand dunes blanketed with mature stands of hemlock, white cedar, sugar maple, and yellow birch, which tower over Heins Creek, offering shade and cover for fish and wildlife. 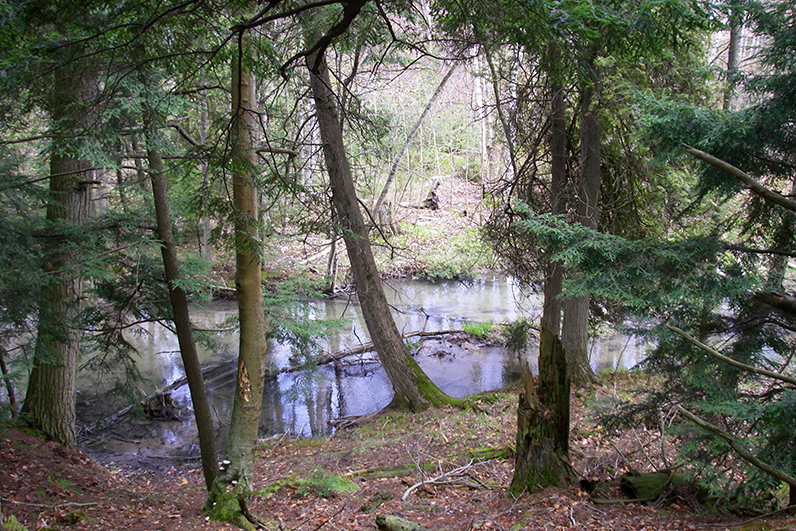 Heins Creek teems with fish in spring and fall, and the forest canopy attracts a variety of birds throughout the year.